"The Invisible Dragon" made a lot of noise for a little book When it was originally published in 1993 it was championed by artists for its forceful call for a reconsideration of beauty--and savaged by more theoretically oriented critics who dismissed the very concept of beauty as naive, igniting a debate that has shown no sign of flagging. With this revised and expanded edition, Hickey is back to fan the flames. 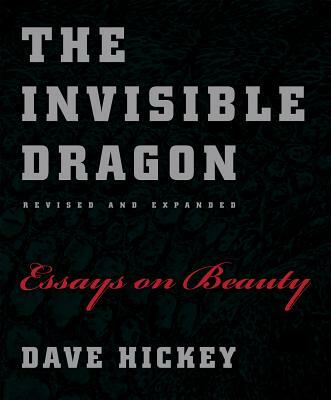 More manifesto than polite discussion, more call to action than criticism, "The Invisible Dragon" aims squarely at the hyper-institutionalism that, in Hickey's view, denies the real pleasures that draw us to art in the first place. Deploying the artworks of Warhol, Raphael, Caravaggio, and Mapplethorpe and the writings of Ruskin, Shakespeare, Deleuze, and Foucault, Hickey takes on museum culture, arid academicism, sclerotic politics, and more--all in the service of making readers rethink the nature of art. A new introduction provides a context for earlier essays--what Hickey calls his "intellectual temper tantrums." A new essay, "American Beauty," concludes the volume with a historical argument that is a rousing paean to the inherently democratic nature of attention to beauty. Written with a verve that is all too rare in serious criticism, this expanded and refurbished edition of "The Invisible Dragon" will be sure to captivate a new generation of readers, provoking the passionate reactions that are the hallmark of great criticism.